Sécheresse is the French for drought and we are getting to know lots about it! 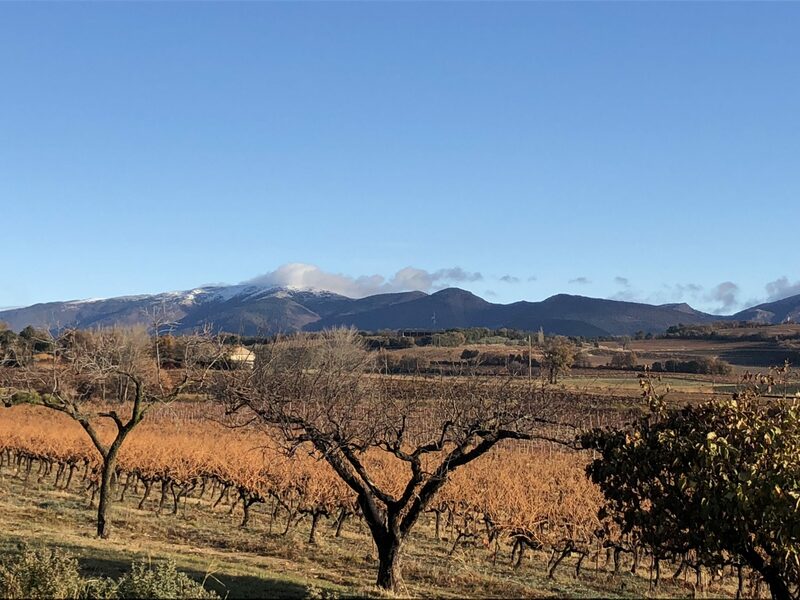 Some welcome rain at the weekend has left the foothills of the Alps snow-capped, but with only two or three weeks to go this year we are well short of normal rainfall totals. On average here we expect about 750-800mm a year. 2014 was very wet with 1082 mm, well over a metre! 2015 was a little on the wet side of normal with 827mm and 2016 a little on the dry side with 736mm. This year however we are only at 455mm. With little indication of much rain in the long term forecast we are going to have had a very dry 2017. This has already had an impact. The 2017 harvest was of super quality, but our yield was down about 20% and others fared worse, 30-40% down in places. Unless the early part of next year is particularly wet we are likely to have a small harvest in 2018 too as it is the winter reserves of water which has the greatest impact on the yield the following summer.